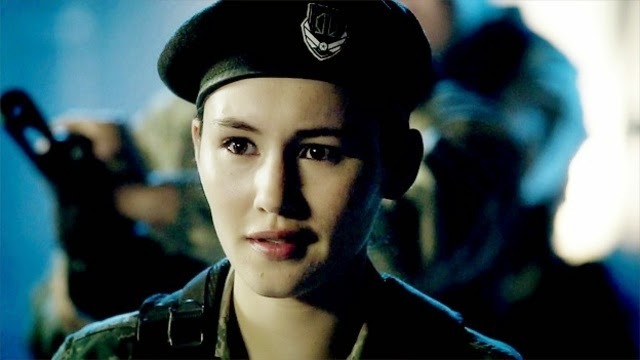 Christina Chong has been cast in a small role in Star Wars: Episode VII. She is best known for a minor role in the Doctor Who episode "A Good Man Goes to War," 24: Live Another Day, and playing Dr Sarah Witney in the TV series Monroe (haven't heard of it before). She is also the female lead of the upcoming Halo: Nightfall TV series. Movie news has been slow recently, so that is about all for today. Sorry everyone if I have not replied to comments lately. If you remember, my arm injury is preventing me from typing very much, or at all some days. Fortunately, I have had enough reviews and other posts for to post during my absence.